When adventure game websites started in the mid-1990's, adventure games were generally divided into a few categories: interactive fiction, interactive fiction with graphics, 2D first person point and click adventure games, and 3D point and click adventure games (plus a breakdown between the first person and third person perspective for graphic adventures). There were variations (for instance, the early Sierra titles had a protagonist that was controlled with the keyboard and had the text parser of interactive fiction), but purists stuck to these categories, and anything that didn't adhere to these weren't real adventures. I was one of those purists then, as my original website for covering adventure games in general was titled Real Adventure in 2000. There are still purists out there, as there always will be, but today it's much harder to be one, as the genre has continued to evolve and there are now so many variations of adventure games. The first game that had some of the hallmarks of text adventures was Hunt the Wumpus, a game released by Gregory Yob in 1973. However, the genre wouldn't be kickstarted until Will Crowther released Colossal Cave Adventure on the ARPANet (the precursor to the internet) in 1975. This game was expanded with permission by Don Woods in 1977. The version by Don Woods was so popular it inspired many designers to create their own games in this style. 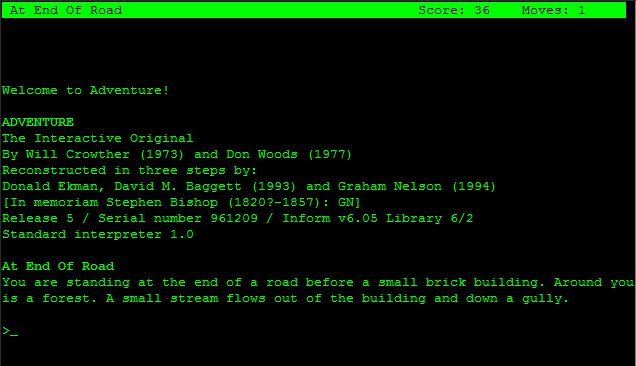 Because of the technical limitations of computers at the time, the filename for Colossal Cave Adventure was ADVENT. Because of the common shortening of the game's filename, the game became widely known as either Advent or Adventure, leading to the name of the adventure genre as we know it today. 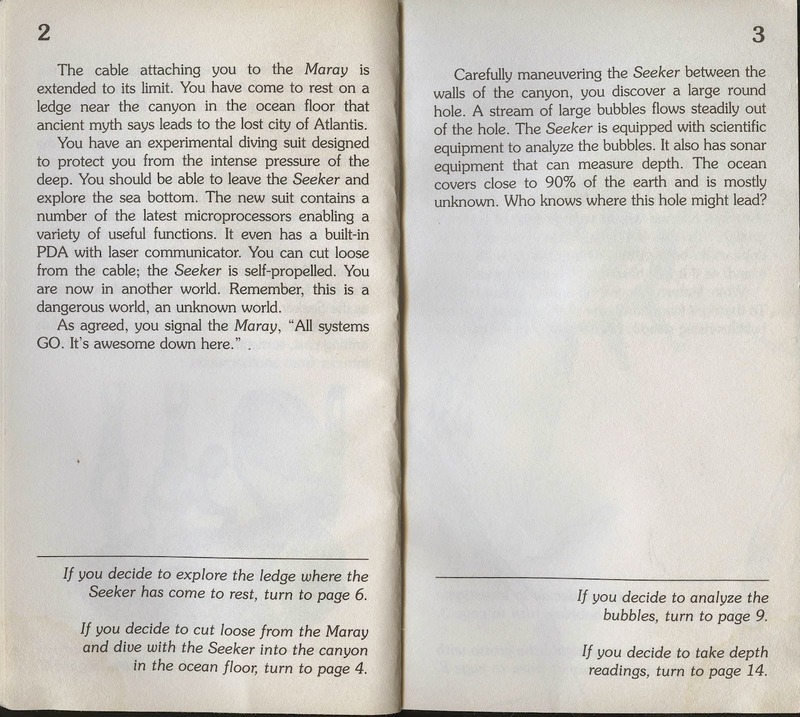 The first adventure games were completely text based because of limitations of the computers of the time, which could not display graphics. This led to a novel way to experience games, which were written out as descriptive passages, like paragraphs in a novel, and users would input commands which would branch the story based on the command chosen. This was very similar in practice to a concept that was happening concurrently in print books, which themselves began with the release of Edward Packard's Sugarcane Island in 1976, which were originally known as Adventures of You but later became known as Choose Your Own Adventures. Colossal Cave Adventure inspired Scott Adams, who founded Adventure International with his wife Alexis to sell their adventure games. Adventure International released Adventureland in 1978, which was the first commercially published adventure game. Adventure International continued to produce and sell adventure games (both containing just text and text with static graphics) until they went bankrupt in 1985 as a result of the North American video game crash of 1983. Scott Adams returned to creating commercial text adventures in 2000, and has released two new text adventures which were published through Scott Adams Grand Adventures. Colossal Cave Adventure also inspired members of the Massachussets Institute of Technology modeling group, who created an adventure game titled Dungeon, which was later renamed Zork due to a trademark claim by the owners of the Dungeons and Dragons franchise. This game was released for a mainframe computer, which had much larger storage capacity than the home computers at the time. When the game's creators, Tim Anderson, Marc Blank, Bruce Daniels, and Dave Lebling, founded Infocom in 1979 with the intent to sell Zork commercially on home computers, it had to be broken up into three parts. 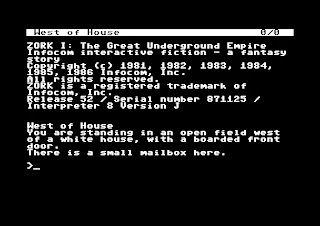 Their first release was Zork I, published in 1980. 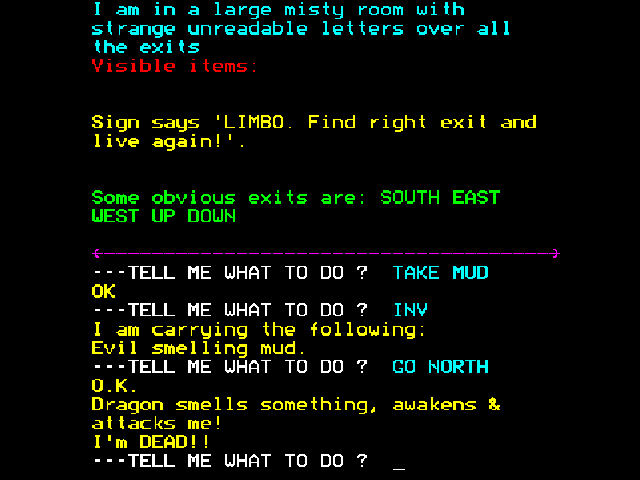 Infocom was purchased by Activision in 1986, however they continued to produce text adventures (both containing just text and text with static graphics) until they were closed in 1989. Activision continued releasing adventure games under the Infocom name until the mid 1990's. 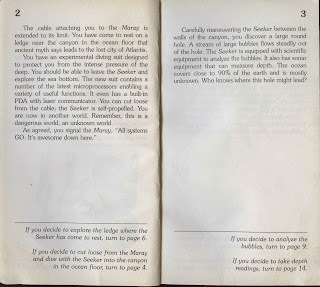 Text adventures, which are also known today as interactive fiction, went out of popularity in the 1980's as graphics were introduced to the genre. However, there are still a small group of developers who still release text adventure games, both for free and commercially. 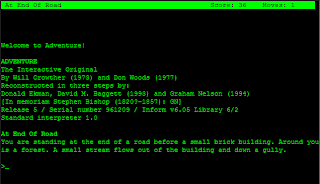 Variations of the Z-machine engine that Infocom used to create their adventure games are still used to create text adventures to this day.